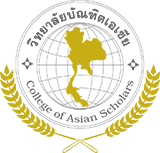 บทคัดย่อ ภาษาอังกฤษ The purposes of this research were to 1) study the elements and indicators on school curriculum management of Catholic schools under the diocese Ubon Ratchathani 2) study the present and desirable on school curriculum management for Catholic schools under the diocese Ubon Ratchathani 3) develop guidelines on school curriculum. For Catholic schools under the diocese Ubon Ratchathani. The research was divided into 3 phases: Phase 1 study of the elements and indicators of management courses, basic education for Catholic schools. Under the diocese Ubon Ratchathani Professional from 5 expertists, Phase 2 study the current conditions, and desirable on school curriculum from the sample School administrators head of academic head of learning circumstances 139 people using stratified Random Sampling and by the tables of Krejcie and Morgan, Phase 3 development guidelines for the management of the school curriculum, for Catholic schools Ubon Ratchathani diocese under the qualifications of 9 expertists The instruments were questionnaires, interviews, focus group notes. And evaluation the statistical analysis of the data, including IOC, percentage, means, standard Deviation. The reliability of the whole .965, the index needs (PNIModified) and content analysis. 1) the preparation, there were 14 guidelines, 2) the implementation of the curriculum were 6 development guidelines, 3) the monitoring and evaluation of curriculum, there were 16 guidelines and 4) to support the school curriculum there were 18 guidelines. 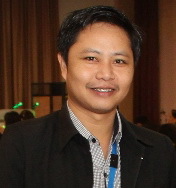 The purposes of this research were to 1) study the elements and indicators on school curriculum management of Catholic schools under the diocese Ubon Ratchathani 2) study the present and desirable on school curriculum management for Catholic schools under the diocese Ubon Ratchathani 3) develop guidelines on school curriculum. For Catholic schools under the diocese Ubon Ratchathani. The research was divided into 3 phases: Phase 1 study of the elements and indicators of management courses, basic education for Catholic schools. Under the diocese Ubon Ratchathani Professional from 5 expertists, Phase 2 study the current conditions, and desirable on school curriculum from the sample School administrators head of academic head of learning circumstances 139 people using stratified Random Sampling and by the tables of Krejcie and Morgan, Phase 3 development guidelines for the management of the school curriculum, for Catholic schools Ubon Ratchathani diocese under the qualifications of 9 expertists The instruments were questionnaires, interviews, focus group notes. And evaluation the statistical analysis of the data, including IOC, percentage, means, standard Deviation. The reliability of the whole .965, the index needs (PNIModified) and content analysis. Results showed that ; 1) Elements and Indicators for management courses on basic education for Catholic schools under the diocese Ubon Ratchathani consists of 4 components and 48 indicators assessed by the experts as a whole and all sides were at the highest level. 2) Current conditions management curriculum of basic education for Catholic schools, and specifically by all sides was at the high level, the desirable management of basic education curriculum the overall aspects and all areas were at the highest level. 3) Guidelines for the management of basic education curriculum for Catholic schools, found that : 1) the preparation, there were 14 guidelines, 2) the implementation of the curriculum were 6 development guidelines, 3) the monitoring and evaluation of curriculum, there were 16 guidelines and 4) to support the school curriculum there were 18 guidelines.